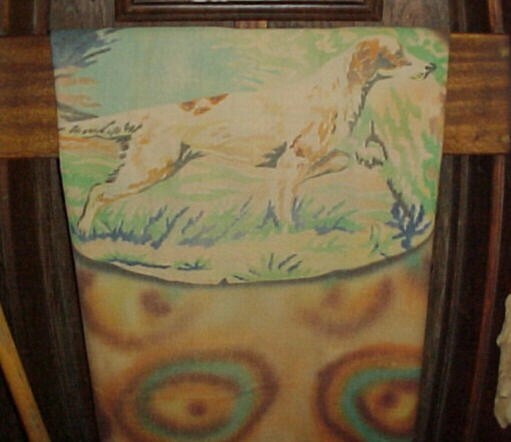 1930-40's Camp Blanket with Hunting Dog motif. Very collectible and rare. Great for a cabin, hunting enthusiast, Hanging on a wall or just keeping you warm. Nice condition. 1 hole. Bad Moth! 1930-40's Camp Blanket with Hunting Dog motif. Very collectible and rare. Great for a cabin, hunting enthusiast, Hanging on a wall or just keeping you warm. Nice condition. 1 hole. Bad Moth! Please email cowboyron@cowboycabin.com with questions or call 406 270-2842.